Sign up and receive Property Email Alerts of Houses for sale in Rooi Rivier Rif, George. 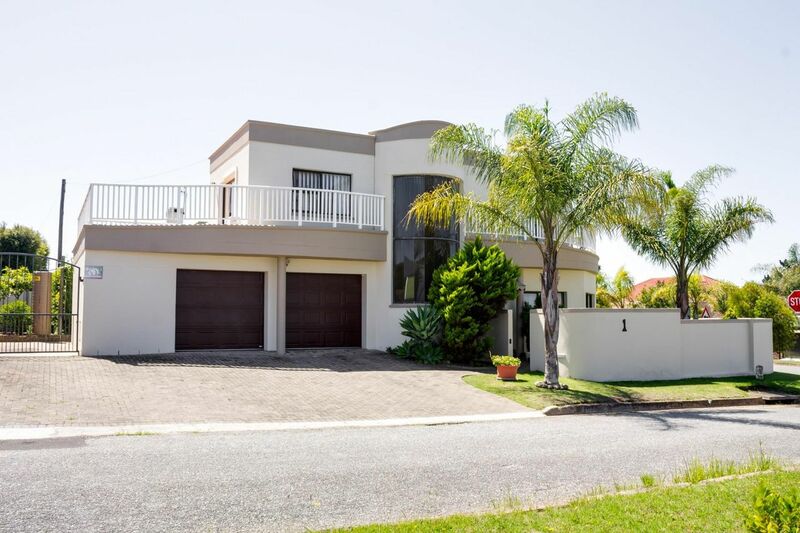 2 Massive (double storey) houses on 1 property…what a BARGAIN!!! 5 Bedrooms (1 downstairs, 4 Upstairs) with BIC,1 Guest Toilet downstairs,1 Full bathroom and 1 en-suite bathroom upstairs,1 Beautiful kitchen + scullery,1 Living/ TV room,1 Dining room,1 Braai room inside,1 covered patio with outside braai,2 Garages (automated doors with direct access),1 secure parking behind gates,2 parking spaces in-front of garage. This HUGE property with 2 STUNNING Houses is ideal for the investor, staying in the one house and renting out the other house, or a great Guest House opportunity. Sign-up and receive Property Email Alerts of Houses for sale in Rooi Rivier Rif, George.